Students take a tutorial to familiarize themselves with the National Geographic MapMaker tools that will be used extensively throughout the World Geography course. 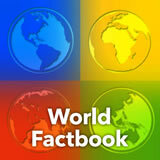 The experience also covers general information about maps. 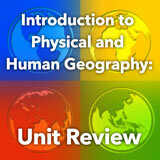 Throughout the World Geography course, students will work extensively with National Geographic’s MapMaker Interactive and MapMaker 1-Page Maps. This experience serves as a tutorial so that they will be familiar with the tools when required to use them within the framework of an experience. You may choose to assign this experience for one extended class period, or have students work through it over several class periods, ensuring that they are confident in how to use the tools before moving on to content experiences. The experience also covers general information about maps. Identify the key elements of a map. 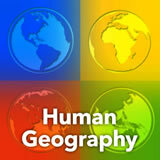 Show proficiency in building maps with interactive tools. 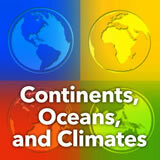 Throughout the World Geography course, you will be using the National Geographic MapMaker Interactive site. Let’s get some practice using it. In the “Enter location” field, type the name of your state and enter. Zoom out until you can see the outline of your entire state. A marker notes the geographic center of your state. On the right, click the “Base Maps” tab. Here, you can choose what type of map you want. 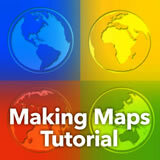 For this tutorial, set it to “Topo” (topographic map). Identify at least one geographic feature from the map: a mountain range, a river, a large metropolitan area. Post the feature. If you want to list more than one, separate them with commas, like this: Mars, Saturn. In order to ensure that all students have identified the major geographic features on the state map, you may choose to have the class discuss them. Now click the “Layers” tab and then the “Add Layer” button. Click the “Legend” tab to read the legend for the layer. How much average rainfall does your city get? Both layers are displayed in the order they are listed. Change the transparency with the sliders and drag the layers to change their order until you can answer the question below. What relationship do you see between the population density in your state and the human footprint (human’s impact on the environment)? If you have an email address, choose Save and enter your email. You will receive a link via email. If you want to post a link into Exploros to share with your teacher or classmates, choose Share, then choose More. At the top of the screen that opens, copy the link to the map. Choose Print and save your map as a PDF. You can also take a screen shot of your map to post into an Exploros discussion wall or drawing canvas. Note: If you need a simple, black and white map of a country or region, use National Geographic’s MapMaker 1-Page Maps. The tool enables you to mark various features, provides drawing tools and markers for annotating it, and offers various share, save, and print options.